I’m still thinking about the myths and metaphors we live by, especially the myths and metaphors that have made modernity, and the world keeps giving me food for thought. So speaking of food, recently I was listening to a BBC Radio show about food — I think it was this one — and one of the people interviewed was Ken Albala, a food historian at the University of the Pacific. Albala made the fascinating comment that in the twentieth century, much of our thinking about proper eating was shaped (bent, one might better say) by thinking of the human body as a kind of internal combustion engine. Just as in the 21st century we think of our brains as computers, in the 20th we thought of our bodies as automobiles. But perhaps, given the dominance of digital computing in our world, including its imminent takeover of the world of automobiling, we might be seeing a shift in how we conceive of our bodies, from analog metaphors to digital ones. Isn’t that what Soylent is all about, and the fascination with smoothies? — Making nutrition digital! An amalgamated slurry of ingredients goes in one end; an amalgamated slurry of ingredients comes out the other end. Input/Output, baby. Simple as that. UPDATE: My friend James Schirmer tells me about Huel — human fuel! Or, as pretty much everyone will think of it, "gruel but with an H."
"Please, sir, may I have some more"? I think the single best commentary upon the Cars franchise is that episode of The Simpsons where Bart's friend Milhouse confesses the nightmares he suffered upon seeing them: 'if gas is their food then WHY DO THEY HAVE TEETH?' This ('WHERE ARE ALL THE PEOPLE?') helps reconfigure the films as tacit horror. I don't mean to be wholly facetious, but maybe this points up the limitation of the 'internal combustion engine' model you mention. 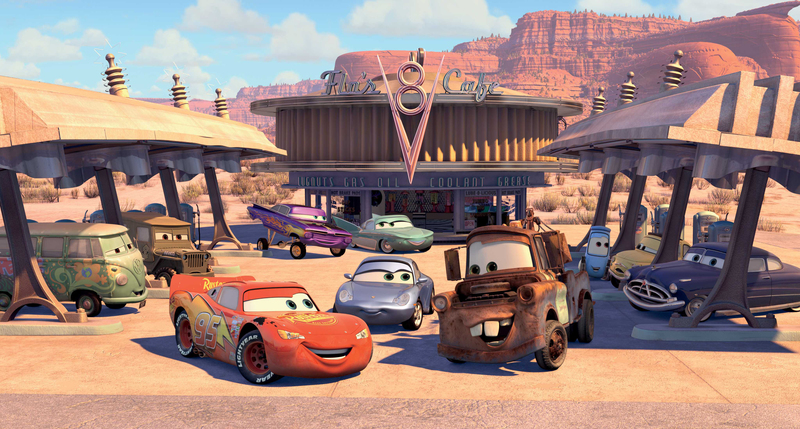 Let's sat that, for the cars in that movie, petrol is a functional food, in the sense that it is 'eaten' for sustenance. In that case the people they have (we can intuit) eaten must have served a separate function: pleasure, presumably.